Cool Live Show January 22! Friends in the Boston area: Mark your calendars for a terrific show that's guaranteed to chase away any January blues that might settle in after you've vacuumed up that last strand of tinsel: WMFO’s DJ Easy Ed presents a night of Rockabilly and Hillbilly bop, starring the sensational Pinball Millionaires. These guys play rockabilly and hillbilly bop the right way and are a big hit with the dancers! As a special bonus, Frankie Blandino (Spurs/Fathoms/Cranktones) will sit in on steel. The Barleyhoppers, featuring Stan “The Man” Kozlowski (Spurs, Cranktones), will open the night. This is their debut Boston show, and the whole town's buzzing about it. Expect some Sun sides, some Hank, and a few Everly Brothers duets when special guest Cheryle Crane (Crybabies) joins Stan at the mic for some harmonizing. 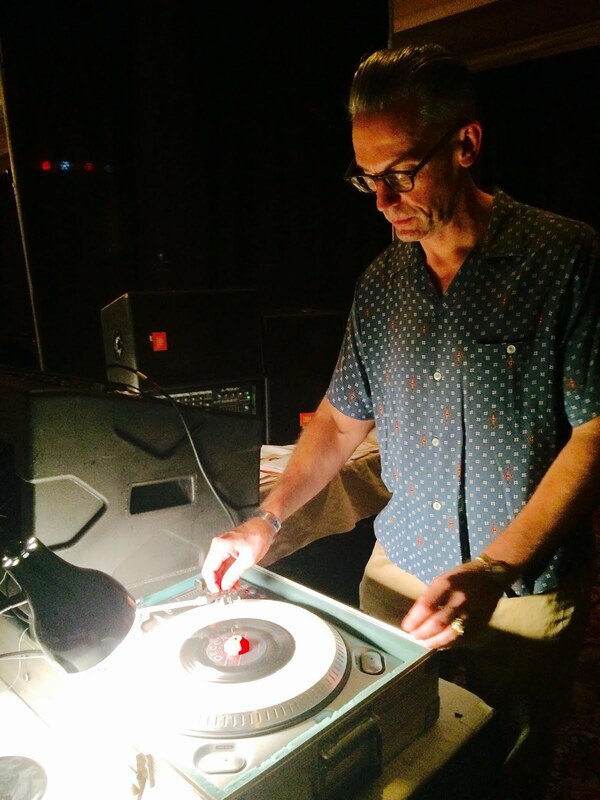 Throughout the night, Easy Ed’s Record Hop will keep your toes a tappin', and kicking off the event we'll be offering a complimentary dance lesson with Miss Beck! Arrive early (8:30 PM) for a free dance lesson (50s Jiving) with Miss Beck. No experience needed. No partner needed. Everyone welcome! Here's a list of what I played on last night's edition of "Easy Ed's Variety Hour" on WMFO. If you missed the show or would like to listen to it again (God love you) the archive MP3 will be available for download from http://www.easy-ed.net/ soon. I will not do another official show until January 7, but may sub for a vactioning DJ the week before Christmas. I'll keep you posted on that. As another year of the show draws to a close, I find myself, once again, pleasantly surprised that it still exists! A huge thanks to everyone who listens to and supports the program! I wish you all very happy holidays. May 2011 bring good things your way. PS: Perhaps I'll see you at the Raging Teens' holiday spectacular on 12/17 at TT the Bear's in Cambridge. Bring your worn bop shoes! Or you can just read on from here. The Raging Teens “That's How I Like It” from The Raging Teens on Annabelle Records — www.myspace.com/theragingteens See the Raging Teens 12/17 at TT the Bears in Cambridge, with The Roy Sludge Trio, The Throttles (members of the Amazing Royal Crowns), The Egos, and DJ Easy Ed.